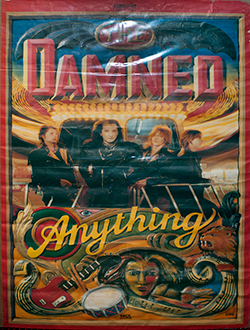 Description: The Damned Original 1986 Anything LP Promo Poster. Size 31x46. Item in VG condition. NOTE: This is a rare vintage poster, thin paper with some creases, pin-holes and edge tears. Still, this is a very impressive poster. Item Sold As Is! 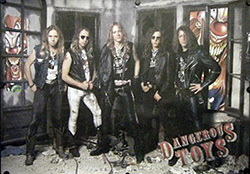 Description: Dangerous Toys 1989 Teasin' Pleasin' Promo Poster. Size 23x28. Item in VG+ condition. 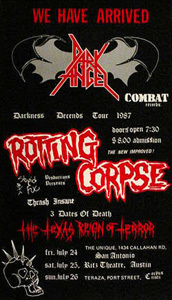 Description: Dark Angel / Rotting Corpse Original Concert Poster. Size 15x22. Item in VG+ condition. 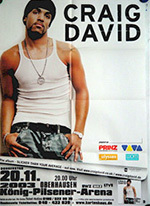 Description: 2003 David Craig German Concert Poster. Size 24x34. Item in VG+ condition. Shipped Folded. 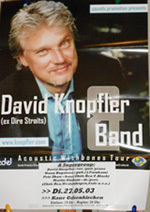 Description: 2003 David Knopfler German Concert Poster. Size 24x34. Item in VG+ condition. Shipped Folded. 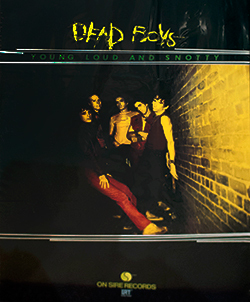 Description: Dead Boys 1977 Promo LP Reproduction Poster. Size 23x33. Item in VG+ condition. 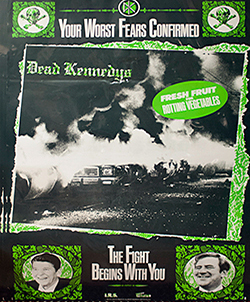 Description: Dead Kennedys 1980 Debut Fresh Fruit For Rotting Vegetables Promo Reproduction Poster. Size 23x33. Item in VG+ condition. 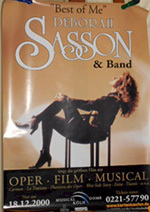 Description: 2000 Deborah Sasson German Concert Poster. Size 24x34. Item in VG+ condition. Shipped Rolled. 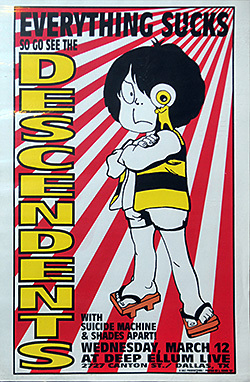 Description: The Decendents and Suicide Machine March 12, 1997 Concert Poster. Size 18x22. Item in VG condition. 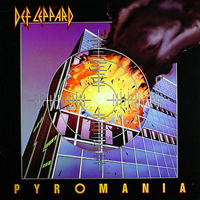 Description: Def Leppard Pyromania Promo Album Flat. Size 12x12. Item in VG condition. 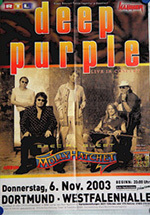 Description: 2003 Deep Purple German Concert Poster. Size 24x34. Item in VG+ condition. Shipped Folded. 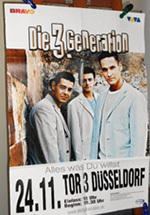 Description: 2002 Delvision German Concert Poster. Size 24x34. Item in VG+ condition. Shipped Folded. 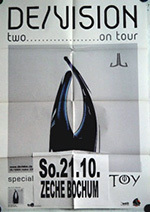 Description: 2002 De Phazz German Concert Poster. Size 24x34. Item in VG+ condition. Shipped Folded. 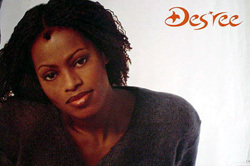 Description: Desree Debut Promo Poster. Size 25x32. Item in mint condition. 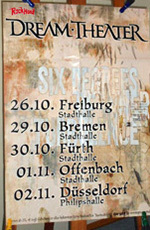 Description: 2011 Die 3 Generation German Concert Poster. Size 24x34. Item in VG+ condition. Shipped Rolled. 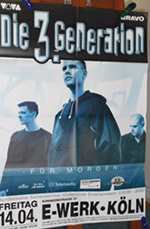 Description: 2004 Die 3 Generation German Concert Poster. Size 24x34. Item in VG+ condition. Shipped Folded. 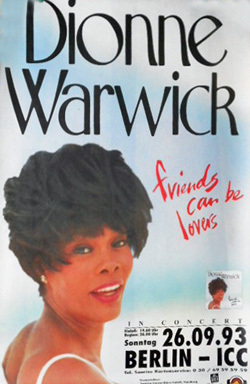 Description: Dionne Warwick 1993 Berlin Germany Original Concert Poster. Size 25x32. Item in mint condition. Description: Promo Only Disturbed Mike Wengren Sabian Cymbal HHX Vinyl Banner. Size 24"x48". Item in mint condition. 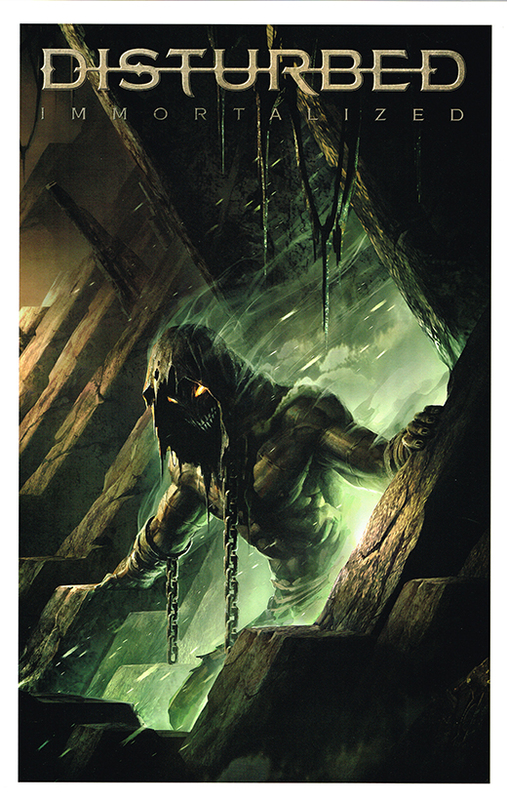 Description: Disturbed Immortalized Promo Poster. Size 11"x17" heavy Stock Paper. Item in mint condition. 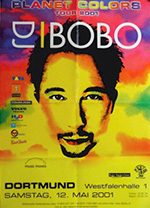 Description: 2001 DJ Bobo German Concert Poster. Size 24x34. Item in VG+ condition. Shipped Folded. 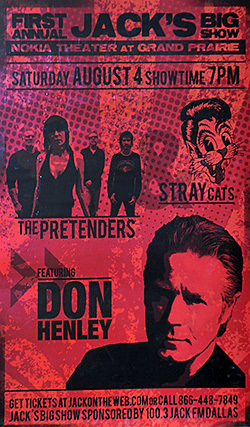 Description: Pretenders, Stray cats and Don Henley Concert Poster. Size 11x17. Item in VG+ condition. 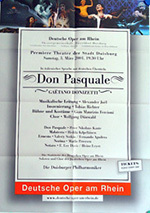 Description: 2001 Don Pasquale German Concert Poster. Size 24x34. Item in VG+ condition. Shipped Folded. 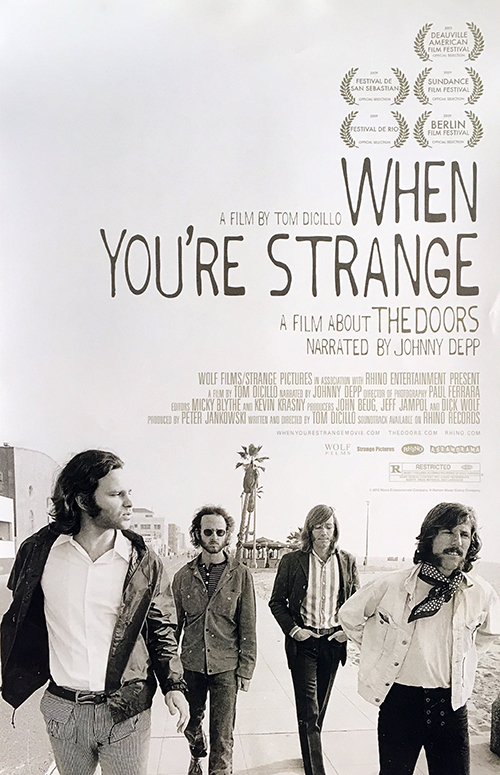 Description: 2012 The Doors When You're Strange Promo Poster. 11x17 Color. 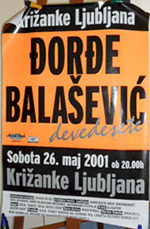 Description: 2001 Dorde Balasevic German Concert Poster. Size 24x34. Item in VG+ condition. Shipped Rolled. 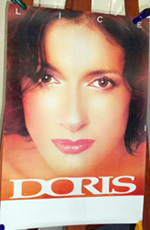 Description: Doris Lice German Concert Poster. Size 24x34. Item in VG+ condition. Shipped Rolled. 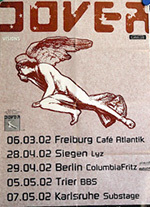 Description: 2002 Dover German Concert Poster. Size 24x34. Item in VG+ condition. Shipped Rolled. 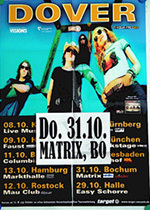 Description: 2003 Dover German Concert Poster. Size 24x34. Item in VG+ condition. Shipped Folded. 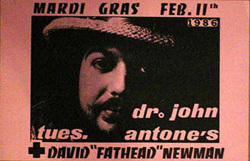 Description: Rare Austin Dr. John 1979 Original Concert Poster. Size 11x17. Item in VG- condition. Description: 2001 Dream Theater German Concert Poster. Size 24x34. Item in VG+ condition. Shipped Folded. 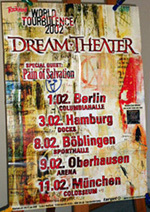 Description: 2002 Dream Theater German Concert Poster. Size 24x34. Item in VG+ condition. Shipped Folded. 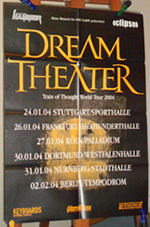 Description: 2004 Dream Theater German Concert Poster. Size 24x34. Item in VG+ condition. Shipped Folded. 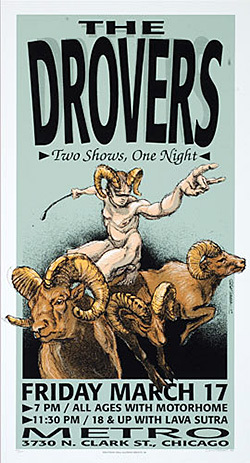 Description: The Provers 2000 Concert Poster. Size 12x22. Item in VG+ condition. 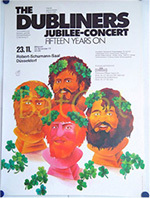 Description: 1977 The Dubliners German Concert Poster. Size 24x34. Item in mint condition. Shipped Rolled.